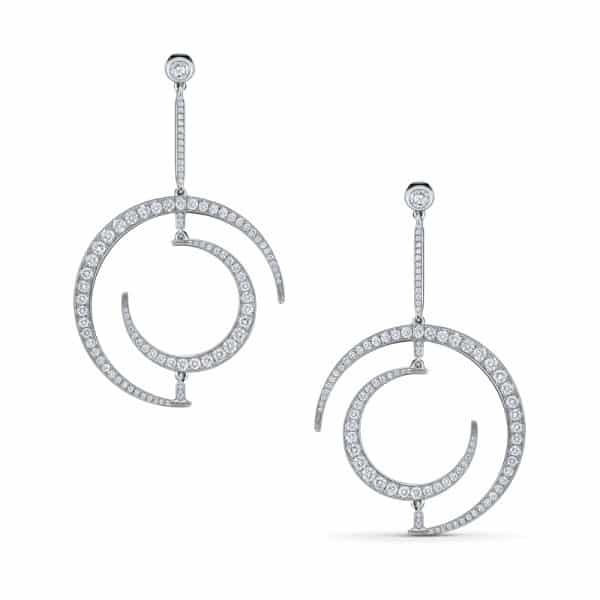 A truly exquisite addition to the Clair de Lune collection, these drop earrings are the epitome of elegant glamour. Inverted crescent moons, moving independently, a stream of immaculate diamonds, in a rise and fall of sizes, catching the light and glinting along their setting. The vertical axis is also set with diamonds, a tumble of tiny bright stars. 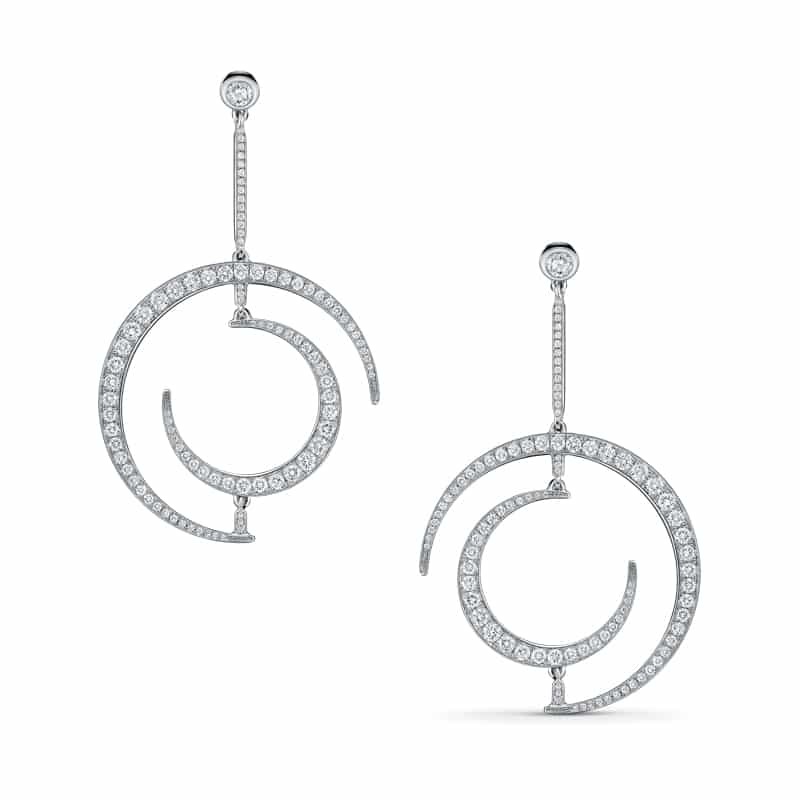 Two stunning, enveloping crescents of white gold, set with 1.5cts bright white diamonds. The Clair de Lune earrings are available in 18ct white, yellow and rose gold and platinum. The Clair de Lune is available in rings and earrings a host of gemstones including diamond, coloured diamonds, sapphire and ruby, set in platinum or 18ct white, rose or yellow gold.